One of the most important features of a successful employee referral program is accountability. Whether you’re reporting to executives, diagnosing shortfalls or areas of improvement, or simply monitoring the day-to-day performance of your program, it’s vital that HR and talent acquisition professionals have access to the data you need. Unfortunately, many referral programs face difficulties because they require manual data tracking and input, creating unnecessary stress for program administrators. With JobShakers employee referral program solution, that’s not the case! Our comprehensive, built-in reporting feature places all the data program administrators need at their fingertips. Through automation, we’ve made it simpler than ever before to track and analyze the progress of your employee referral program. It’s an innovative approach that HR and recruiters love because it makes a successful program even easier to implement. Need access to a complete history of job postings at your company? JobShakers’ administrator dashboard provides a comprehensive listing of all job postings made through your employee referral program, allowing you to search for open or previously filled positions. If you need to create a new job posting for a previously listed position, all the information you need is saved for future use. The moment an existing employee makes a referral for an open position, their contact information is automatically logged alongside their referral. That means it’s simple to reach out for further details, to update them on the status of the referral, or just to check in and thank them for staying engaged! Likewise, the referred candidate’s information is immediately bundled into their referral package, so you never have to fish for details in order to initiate contact. This enables recruiters to react quickly to an incoming referral, decreasing time-to-hire metrics and improving the candidate experience. Our innovative referral platform goes the extra mile to provide insight into your referred candidates and the referral system. Access to clickstream information can help you understand how candidates are navigating the application process, where they’re getting sidetracked or discouraged, and where they’re spending the most time. Does that name look familiar? Search your history of referred candidates to see if a potential applicant has been referred for another position in the past. This comprehensive history allows recruiters to prioritize their efforts on behalf of candidates who will offer the greatest return on their investment. When the time comes to analyze the results of your employee referral program, our administrator dashboard makes it simple to see your success rates for referred candidates. With accessible, easy-to-interpret analytics tracking, you’ll always know how your program is performing and have all the data you need to communicate your success to others. 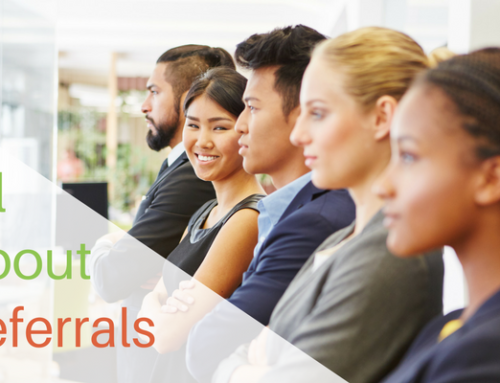 Offering incentives to employees who refer job candidates (whether successfully or not) is one of the best ways to ensure that your referral program continues to thrive. With our incentives tracking feature, you can easily see who has already received which incentives and keep track of your rotating incentive offerings. This comprehensive feature provides to-the-minute data about the vibrancy and success of your employee referral program as a whole. See all open positions alongside referred candidates, employee refer-ers, and overall success rates. Whether you’re determining who your most engaged employees are, which positions are drawing the most referrals, or analyzing the overall health of your referral program, automated analytics make it simple to access the information you need. The JobShakers team understands the vital impact that a thriving employee referral program offers to companies seeking a competitive edge in today’s difficult job market. That’s why our innovative, automated referral program solution is tailored for maximum success with minimum stress on behalf of program administrators. Our data tracking and analytics features are just some of the many ways we’ve made it easier than ever before to implement and manage a successful employee referral program. Are you ready to leave the stress of manual data tracking behind and embrace the future of referral programs? Contact us today to learn more!